What is the best storage near me? What are the best storage unit companies? Are there any cheap storage units in Toledo? How close do I want to be to my possessions? There are plenty of factors that go into finding the perfect solution. We are here to help you choose the storage facility in Toledo that is best for you. So, the next time you are moving and are in need of storage, use this guide to help you answer some of the tough questions. Choosing the right facility can be a little more complicated then you think. Today there are plenty of options available in Toledo and you should familiarize yourself on each type of service before choosing one over the other. A self-storage unit is your most common option. It is a unit that you take your belongings to and store them. The best self-storage options are the companies that have high security, monitored yards, climate-controlled environments and are easily accessibility. However, storage unit prices can vary based on many factors. The other downside is that you have to do all the work yourself when it comes to storing and retrieving your belongings. Concierge or on-demand storage has become another popular option for when you are moving in Toledo. This service offers convenience and a unique option for storing your possessions. This involves a storage facility coming to your home, picking up your belongings, storing them and delivering your possessions back to you when you are ready. All you have to do is choose what you plan on storing and they do the rest. However, this option is typically more expensive. It is best if you have a small quantity of items. Another common option is warehouse storage. Most moving companies with storage options use this as their form of temporary storage. It is one of the best options for when you are moving. Moving companies with temporary storage can offer you short- or long-term solutions for your possessions when you are moving. It is convenient since you don’t have to do any of the work yourself. Just communicate with your moving company about your needs and they will accommodate their services for you. Often warehouse facilities are climate-controlled, government inspected and offer high security. One of the first things you should be considering when choosing a facility is the proximity of the facility to where you will be living. Renting or purchasing a unit closer to where you live offers many benefits. The closer the storage facility is to your new home or work, the easier it will be for you to monitor and retrieve your possessions. Depending on where the facility is in Toledo could fluctuate the pricing. When choosing an option consider how far your willing to keep your possessions in proximity to where you are living or working. Outdoor or Indoor Storage Units? 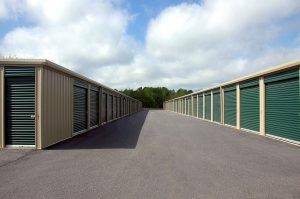 When it comes to choosing a facility, you should also consider whether the storage unit is indoor our outdoor. There are pros and cons for both options. An indoor facility has all their units inside the building. Typically to access the building you would be given a key or code to both the building and your personal unit. Indoor facilities come with more amenities including, climate-controlled units, clean environments and 24/7 surveillance. Indoor facilities offer higher security and protection from the outside environment. However, expect to pay a higher price if you choose an indoor unit. Consider an indoor storage facility if you are storing a small quantity of high valuable items. Outdoor facilities on the other hand come at a cheaper price, but don’t have all the amenities indoor facilities offer. Outdoor units are exposed to the environment and have less security. Outdoor units do allow you faster and easier accessibility to your possessions. They are best for larger items like furniture. Pricing is always a factor in choosing a facility. Each facility and option has different pricing for their service. Check your budget when moving and decide what the best option is for you. Storage units have more factors you need to consider such as transportation and truck rental. Look at the pricing along with the other factors we have mentioned to choosing your best option. To some, security is a high priority when it comes to choosing the right facility. Depending on the possessions you are storing, you can best determine the level of security you want your facility to have. Obviously, if you are storing your more valuable items you want a place that is secure, close by and monitored 24/7. A facility with high security is also important if you plan on storing your items for a longer amount of time. 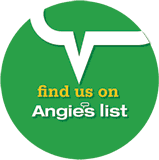 When searching for the best storage unit companies in Toledo, ask them what their security is like. Indoor facilities always offer more protection then outdoor. Go with the storage unit you are most comfortable with when it comes to their security.